After convincing my husband that spending $2000 on a purse is OK, the next step is to go look for one =) We stopped by Saks a couple of months ago to try on a few purses in person. With a $2000 budget in mind, I know I wouldn’t have so many choices. If money wasn't an issue, my first choice would be this jumbo flap. It’s so gorgeous! Sadly, the $4000 price tag is wayyy out of my price range right now. I've tried on both the Wallet On Chain (WOC) and the Petite Shopper Tote (PST) in store that day. As for the PST, it is the best bang for the buck. The PST is bigger and roomier than a classic flap but it costs a few hundreds less. However, the style isn't as flattering. 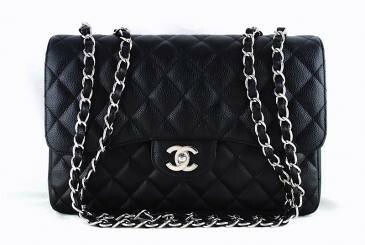 After all, a classic flap is the "trademark" Chanel bag. The PST didn't get husband's vote that day. If you're a Chanel lover, you probably have heard that Chanel had another price increase for their classic bags as of June 1st. If you're curious about new prices, here are some #s provided by a fellow blogger. Prices do not include tax. Isn't that crazy??? I cant wait to see what you got! 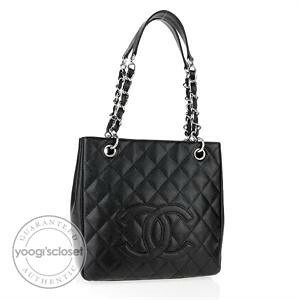 I would love a Chanel purse but the price is oh so expensive! :( wow and a price increase..insane! Very exciting, Sydney. Can't wait to see your first Chanel. The prices on a classic line are outrageous, in my opinion. I wouldn't buy a mini at $2600. I hope they won't have another round of price increase this year. However the jumbo would be the size I go for if I "ever" get another one but 4,300 (I think) makes me think long and hard, WOC is not practical at all for me. Glad you didn't get a PST. I brought it home and returned it the next day. The straps kept falling off my shoulder and too boxy. yay, i'm so happy for you! 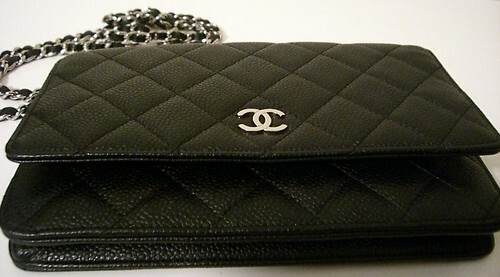 i decided that my next Chanel is going to be a jumbo flap too as the m/l one just isn't big enough for everyday use. i can't wait to see what you picked out! I can't wait to see your post with your new bag! My mom purchased her Chanel Quilted flap bag in 1992 for $995! She has kept it in Pristine condition over the years! I will always remember the smile on her face as she exited the boutique with her bag! It brings back wonderful memories! Sooooo excited for you Sydney!! I can't wait for the reveal!!! I'm so happy for you! :) Can't wait to see your new "baby"! How exciting! Can't wait to see. I'm so happy & proud of you! I can't wait to see it, Syd! Oh, so excited for you, Sydney! *Happy tears*. Can't wait for the reveal! @Kelly - you are too funny! Woohoo! Can't wait to see your reveal--so exciting! And good for you for being so patient, too--so commendable! Congrats and YAY!! I'm so excited to see what you winded up choosing - I'm sure whatever it is, it will be GORGEOUS!